The peer-learning, competition with B-schoolers across India, innovation, exposure, not to mention the tremendous value you add to your CV – B-School competitions are invaluable. You never come out of a B-School competition, at the same level you entered it! FLIP National Challenge (FNC) is unarguably the largest Finance contest in India, for B-Schoolers aspiring to a career in Financial services. During FLIP National Challenge, thousands of finance aspirants compete for the highest score in select FLIP Certifications. So, apart from getting a CV boosting FLIP Certification, they also get to benchmark themselves against an all India pool. 14,000+ premier B-School students have participated in the FNC till date – with the season 8 (2017) alone witnessing 2,200+ enrollments from premier B-schools. While 2017 Final Year winners got 30 PPIs for prestigious roles in Reliance Industries Limited (Treasury) and L&T Finance (Corporate Banking), the first-year students landed 6 direct internships at Sanctum Wealth, IDBI Capital, DSP Blackrock Mutual fund and India Quotient. Winners also grabbed ₹ 4.2 lakhs in cash prizes. The one thing which stands out about the Challenge is, unlike the other contests, here everyone who enrolls, can earn a FLIP Certification, which really helps in Internships and Placements. So, the ROI works for everyone – you don’t slog for nothing. Enrollments for FNC typically begin in the first week of August and stay open for 30 days. Keep yourself updated on the Flip National Challenge 2017 (S8) here. Eligibility: Full-Time MBA/PGDM students (1st & 2nd Year). Typically those looking for a career (whether marketing or finance) in the Financial Services industry. Open to all B-Schoolers, but for the last 7 years, 90% + enrollments are from the top 40 B Schools. FLIP National Challenge 2018 is coming soon! 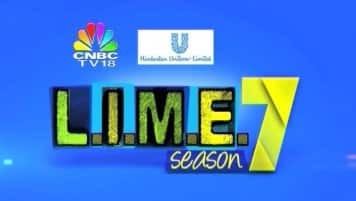 Launched in 2010, HUL’s L.I.M.E. (Lessons in Marketing Excellence) is one of the most prestigious and hard-fought competitions for B-Schoolers aspiring to a career in Sales & Marketing. Every year, marketing students from Top 12 B-Schools (IIM-A, IIM-B, IIM-C, IIM-L, IIM-I, IIM-K, FMS-Delhi, XLRI-Jamshedpur, ISB-Hyderabad, SPJIMR-Mumbai, NITIE-Mumbai and JBIMS-Mumbai) take part in the marketing case study competition with the last season of L.I.M.E. revolving around the theme “Changing Face of Business”. Through various levels of campus rounds, jury evaluation, semi-final and grand finale – the competition span a period of 6 months. Students beyond the Top 12 B-Schools have the provision of taking up a special challenge through a Wild Card Entry and directly enter the show at the semi-final level. The Mahindra War Room, first commissioned in 2007, is one of the top Case Study competitions for premier B-Schoolers. Students are required to form 4 member teams, select a caselet from a given set of business scenarios and submit their thought through and researched solution for it. The teams that make it through the primary jury, are flown down to Mumbai for the Grand Finale! They present their case to Mr. Anand Mahindra and the top management at the Mahindra Group. Winner & Runner Up teams win Cash Prizes and PPIs with the Mahindra Group. Eligibility: The competition is restricted to full-time MBA/PGP students, of any specialization, in a set of 21 top colleges listed here. The inaugural edition of YES Bank’s Transformation series Case Study challenge, was hosted in 2010 and had 1500 participants. Since then, the competition has seen a steady increase in participation. The theme for the 2016 edition was ‘Creating impact through Disruptive Innovation’. Similar to Mahindra War Room, students form teams of three and solve a case study stemming from the theme. The best 15 teams are then brought in to the Grand Finale in Mumbai. The top 3 teams go onto win PPIs with YES Bank & cash prizes. Campus round winners also bag some attractive cash prizes. are other popular B-School case study competitions aimed at getting the brightest minds in the country, to work towards unconventional and innovative solutions for challenging business problems. Airtel iCreate has a provision for wild card entries from colleges beyond the above list. PPIs & Cash Prizes – winners take away for both these competitions. Did we miss out on any popular competitions that deserve to be on the list? Let us know in the comments below – if we like it, it makes it to the list!